With sun blazing down on the French countryside yesterday afternoon, I set off on a walk which meanders around the hills and valleys which surround our hamlet. 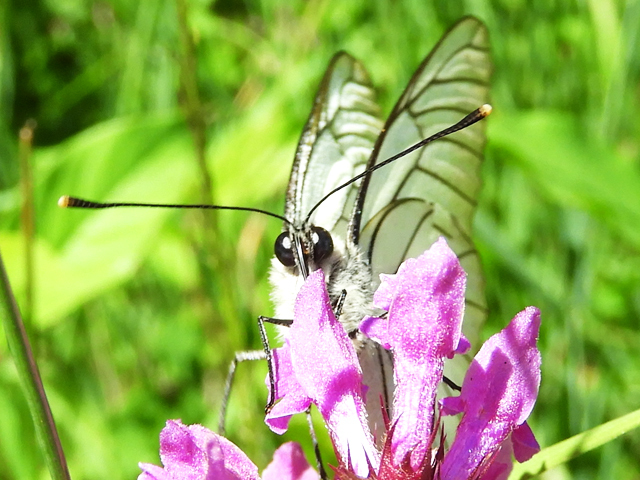 Butterflies were out in abundance, dancing round the wildflowers, and generally escaping the lens of my camera! 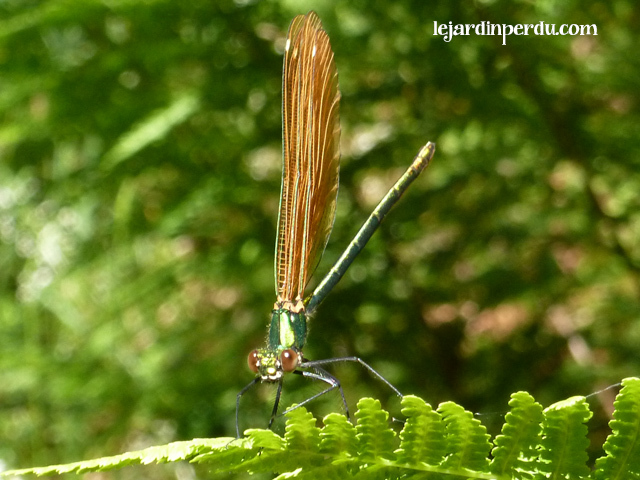 Beautiful Demoiselle can be found along shaded, unpolluted streams and rivers with gravel or silt beds. 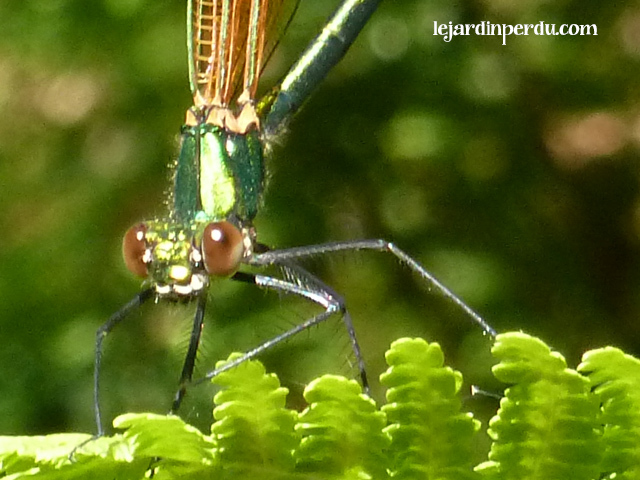 My photographs show a female Beautiful Demoiselle, she has a metallic green body with a bronze tip and iridescent brown-green wings which have a small white spot on the outer edge of them. The male is similar but their bodies are blue-green metallic, they have darker wings than the female and no white spot. Eggs of Beautiful Demoiselle are laid on vegetation within a stream, and once hatched the larvae will remain in the water for two years. Once fully grown, the larva climbs out of the water, sheds its larval skin, finally turning into the beautiful adult seen in these photographs. They live as an adult for only two weeks. 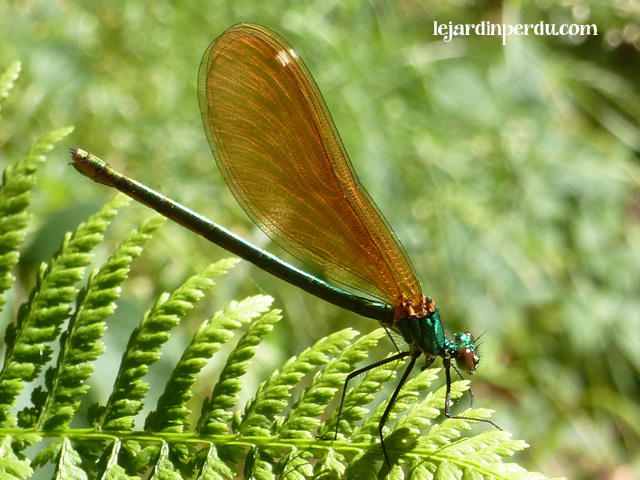 Beautiful Demoiselle form part of the damselfly family, and have a wingspan of up to 60mm. They fly from June – August and if this one is anything to go by, they are quite happy to pose for photographs! 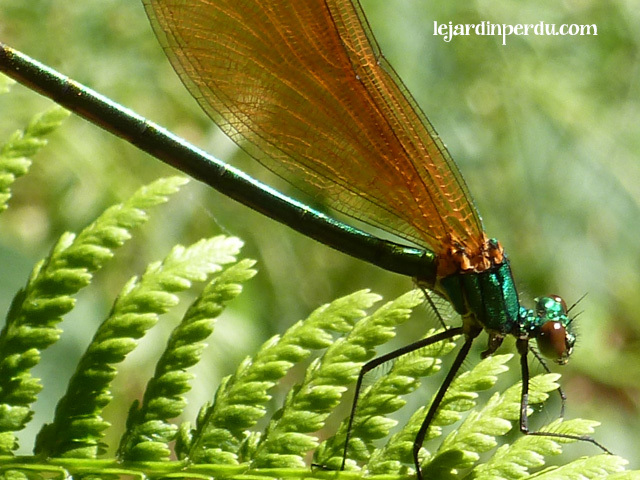 With the exception of high mountainous regions, Beautiful Demoiselle can be found throughout France. 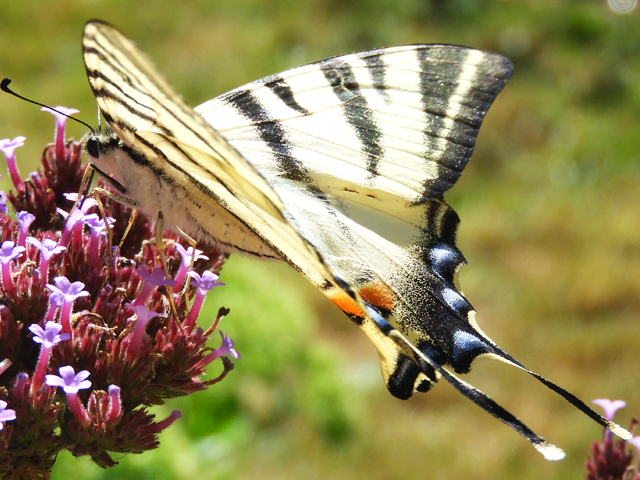 If you see one fluttering around, or posing on a leaf, I’d love to know, so please leave a comment in the box below. Absolutely gorgeous photos. 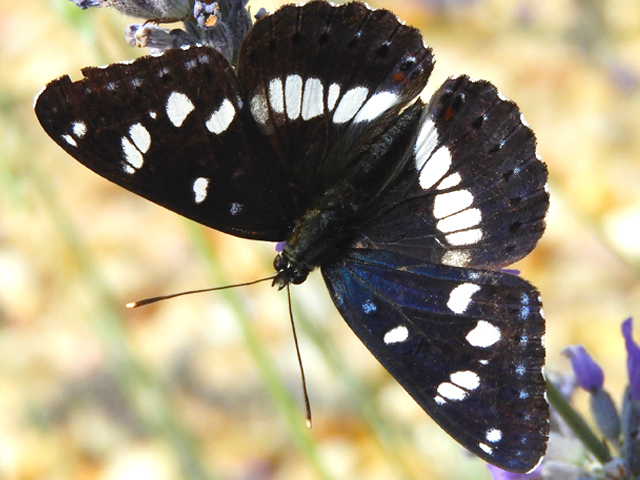 We get a lot of them here in the Charente Maritime, I love to watch them, but have failed to take a decent photo yet! Thank you, they are so beautiful, I fell very lucky finding this one, she was just content to sit there and be photographed!